Wherever you’re moving in London – Fulham, Twickenham or Kensington for instance – we’re here to help you plan, prepare and move. On the other hand, you might be moving out of the city to places like St. Albans, either way, we’ll make sure your move runs smoothly. Our staff all have expert knowledge of London and the surrounding area. Or if you’re moving to another location in the UK or abroad, we can move you there too. Call us on 020 3883 5164 and ask for a free, no obligation quote, or fill in our short form and we’ll get back to you in one working day. Moving house isn’t just about getting from A to B. It needs lots of preparation and dedication so that even the smallest detail isn’t forgotten. We’re a Which? Trusted Trader and a fully accredited member of the British Association of Removers (BAR), so you can rely on us and feel confident that your move will be managed to the highest standards. You won’t always know the precise day of your move until the last minute sometimes, but we can still help you plan ahead by booking you a provisional date. Call our friendly team on 020 3883 5164 and ask for your FREE, NO OBLIGATION QUOTE. Or pop your details into our short form and we’ll call you back within one working day. You’ll have your very own Move Manager who will plan, prepare and manage your move for you. They understand the emotional ups and downs involved and how challenging it can be to find and choose a reliable removals company, let alone move house. As your personal point of contact, your Move Manager will know exactly what’s going on and keep you well informed throughout your move. If they do spot any problems, they’ll sort them out, taking the weight off your shoulders. Everyone in our team knows London well so no matter where you’re moving from or to, they’ll know what’s involved and how to get you there. They all receive regular training on the latest packing and handling techniques too, so they know how to pack and move your items with the utmost care and attention. If you need to store your worldly goods or a valuable item, our custom-built storage facilities are safe, secure and come with long and short-term storage options. Even if you’re not moving house, we’re happy to store your treasured possessions for you. Our furniture, car and commercial storage options are competitively priced and located throughout the UK. If you need your goods to be returned at short notice, we’ll give you quick and easy access to your container. 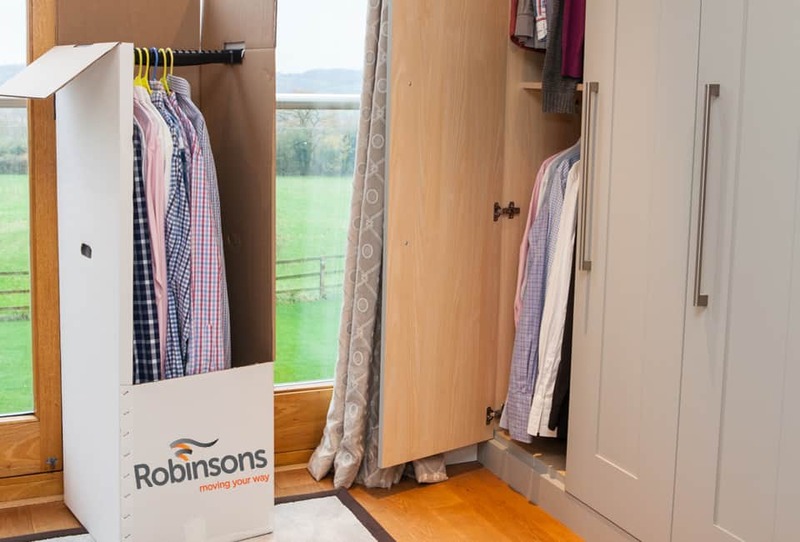 Find out more about our storage options and how the service works here. If you’d like more information, don’t hesitate to speak to us directly: please call us, free, on 020 3883 5164. We’d love to know more about you and your move. No, but we do need full payment seven days before the move. Can you transport my plants? Yes. We can transfer your greenery, though not into storage. What will I do with the empty boxes? Once you have finished unpacking, just call the Robinsons branch that moved you to arrange collection.